Cold pressed Organic Extra Virgin Olive Oil. Made with olives grown to organic standards. 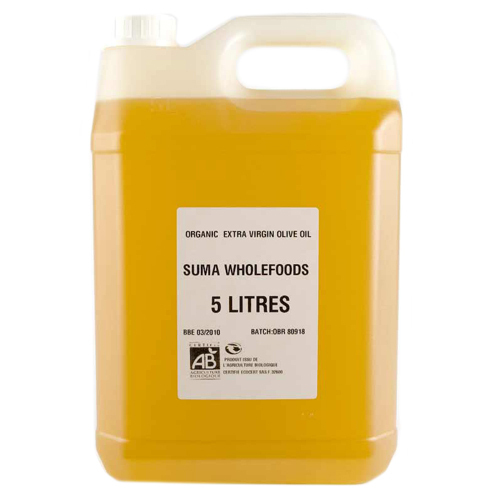 The Suma Extra Virgin Olive Oil - 5 litres product ethics are indicated below. To learn more about these product ethics and to see related products, follow the links below. Excellent oil - use for cooking/dressings etc. Q: Can this be used for both cooking and in salads? Thanks.